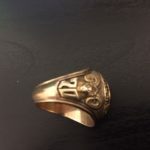 Someone turned in a Class of 1970 ring that they found – initials J A H. Please contact the Bangor School Department at (207)992-4167 if you have information about the owner or if this is your ring. A new gym floor was installed this summer at the James F. Doughty School, formerly the Fifth Street School. On June 18, 2014, the gymnasium was named in honor of Coach Robert Kelley, who taught physical education at Fifth Street School from 1958 to 1987, and then at Bangor High School from 1987 to 2000. 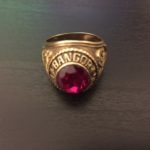 The naming ceremony was attended by current students of James F. Doughty School, Bangor School Department staff and administrators, Bangor High School’s championship baseball team, and Coach Kelley’s former students, players, and co-workers. Funds to replace the gymnasium floor were donated by alumni and community members. 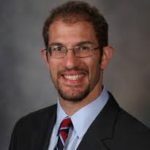 The Summer 2016 edition of The Bangor Communique catches up with alumni Kristan Strout (Class of 2000), the Assistant Director of the Harvard Varsity Club, James Kaiser (a former student at Fairmount School), author of the best-selling guide to Acadia National Park, and Eric Vogell (Class of 1998), President/Owner of ACE Corporation. 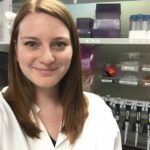 You can read more about these alumni and the incredible accomplishments of our students in the Summer 2016 Communique. If you’d like us to consider you for a future edition of The Communique, please send us a message!